While monkeying around the Intertubes, I found a site to make a chimpanzee nostalgic. 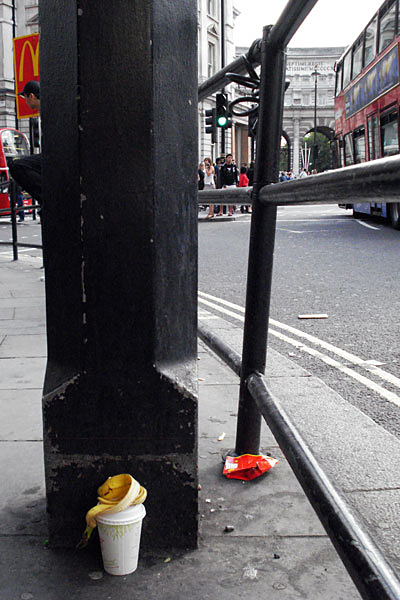 London Bananas is comprised entirely of snapshots of banana peels left empty and neglected on the curbs, steps and trash heaps of London streets. 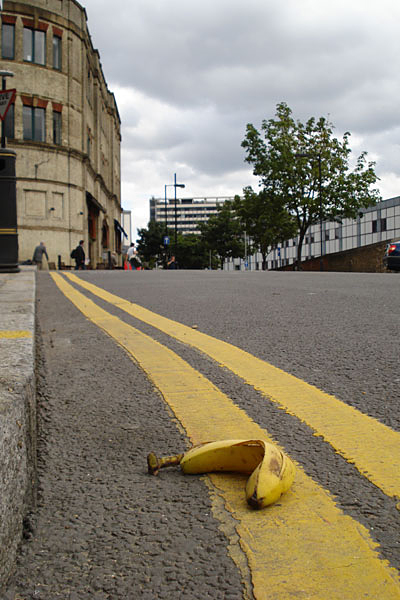 Yep, page after page of abandoned banana peels. 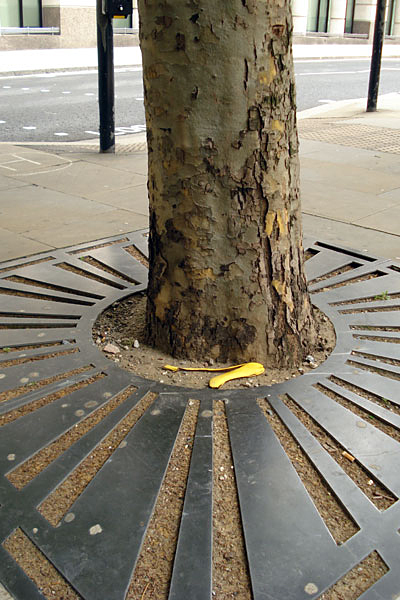 If the fruit flingers had only checked out PopFi, they could have found a better way to put their peels to good use. Here are a few samples of the sort of images you’ll see. For some reason these are very compelling photos. Maybe it’s the color. 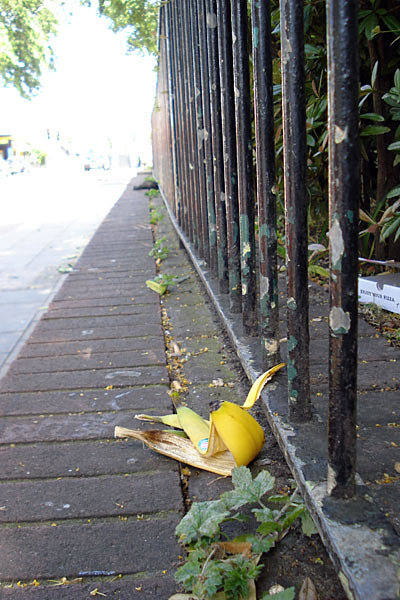 Maybe it’s the fact these were left behind randomly and without a care. Maybe it’s the fact that you can imagine a cartoon character or a Monty Python cast member stepping into the frame and slipping for a pratfall. 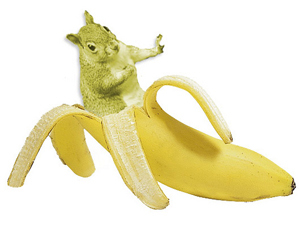 For a bevy of banana related videos, check out the Squirrel Queen.